We love free days out, who doesn’t?! 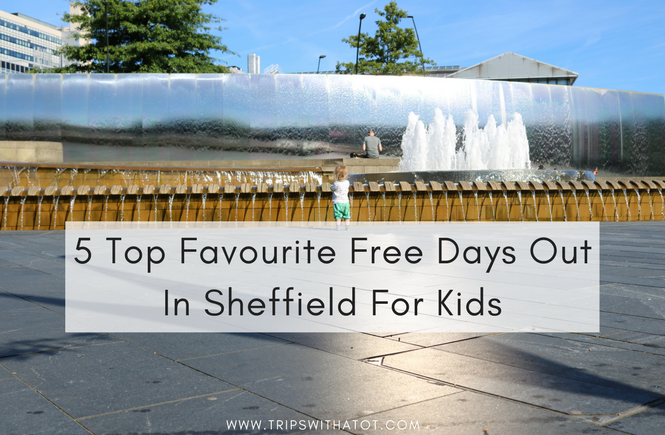 A year ago I put together this huge list of 57+ free days out and now we are a year on I thought I’d now share my best 5 Top Favourite Free Days Out In Sheffield For Kids. Take a 20p coin for the vintage horse ride, there’s some kids books to keep them entertained and sometimes a mini ball pool in the corner. From behind the counter you can buy boxes of duck food for £1; they’re pretty generous and usually last us more than one visit. The ducks are up the slope to the right next to the cafe; there’s benches and it’s a really nice relaxing spot for a picnic, too. Our usual “forge dam” routine is to get there by bus (120), walk down from Fulwood shops turning left at the bus stop you get off at and down to the white gate. There’s sometimes horses in the field to the left and we walk down the hill, turn right to the cafe. Sometimes we go to the playground first or after lunch, it depends what time we get there. I do like the cafe a lot and usually eat there but sometimes take our own for a picnic either up near the ducks or on the grass outside the cafe next to the waterfall. A really fantastic thing about forge dam is how secluded, quiet and mysterious it is. 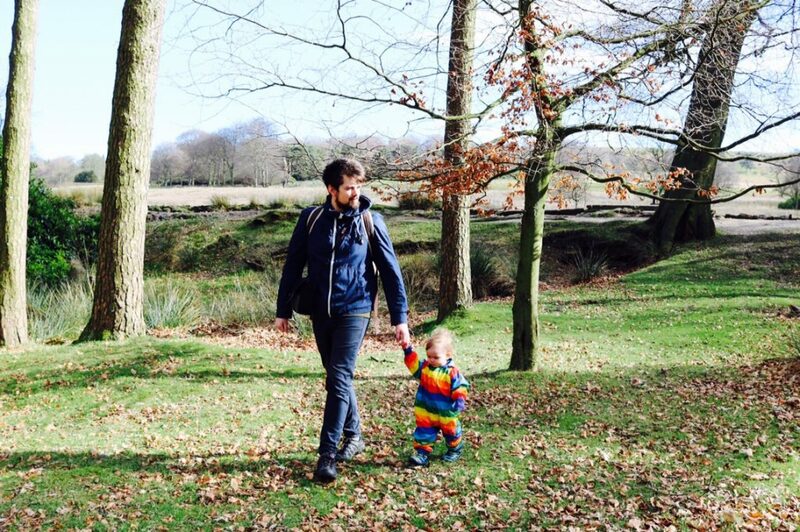 Forget big open green spaces, forge dam is full of winding paths in deep, dark woodlands with paddling opportunities and more than 1 gruffalo to find. The paths are easy to follow with an “Easy going trail” suitable for pushchairs. We usually either take the higher path with a sling or the easy going one; the higher one leads to stepping stones at the very end. Escaping to Low Bradfield on a nice day always makes me smile and I’m sure you’ll love it, too. 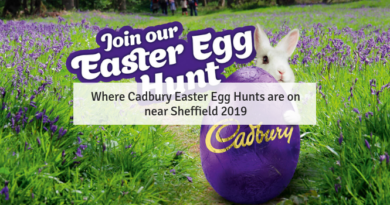 You can easily get there on a bus from Sheffield city centre, 61 or 62 go right there and it’s a beautiful little village, nestled away in the countryside. 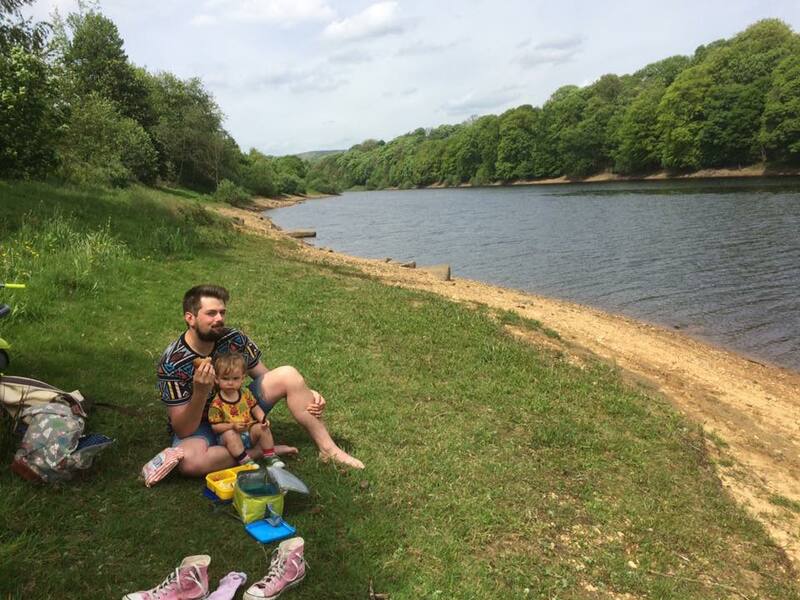 Low Bradfield is in north Sheffield and once you’re there you can explore the area, go walking or paddling at Damflask Reservoir, get some yummy food and have fun in the playground. There’s a variety of things to do, all easy and can be explored just on foot; so it’s lovely to wander around and see where the day takes you. The School Rooms Deli/Cafe is lovely to eat outside and there’s a kids curly slide, climbing frame and bouncy castle. Just around the corner is The Plough traditional pub which is very popular especially with families. Cute little bunnies are hopping around the beer garden and when there’s nice weather they have a bouncy castle for kids. Longshaw Estate… what a place! Longshaw Estate, National Trust is one of my absolute favourite places. 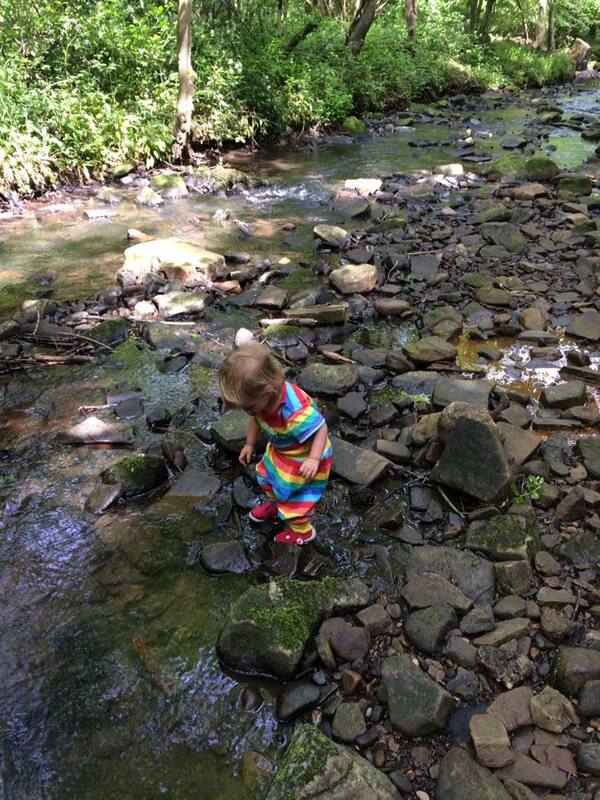 You’ll love how easy it is to find, the gateway to the Peak District, facilities and nature play. If you want to explore the countryside but not sure how to get started, then longshaw is the place for you. There’s a variety of paths and trails to suit everyone, so you just choose one and follow the trail to see what you can find. Inside the visitors centre there’s maps, local information and staff to help you if you need some guidance of where to go. With kids, you can’t miss doing the Bogart trail. This is a little Bogart scavenger hunt where you’ll be able to find several Bogart homes and hiding places. They make the most fantastic nature play areas. Just besides the visitors centre and cafe in the trees are little fairy trees with wooden doors, stepping stones and a few other nature play areas. Throughout school holidays and seasonal events Longshaw have National Trust trails, hunts and themed activities for families on, too. It’s very easy to get there by public transport with buses stopping just across the road or you can make Longshaw part of a bigger walk around the area. If you do visit Longshaw you must definitely go down to Padley Gorge, one of the best spots in the Peak District for a paddle and family picnic. The best thing about local children’s libraries is that they double up as a free space to play for kids. They’re welcoming, friendly, completely free and an inviting space for family and carers to spend some time with children. We love visiting local children’s libraries. They’re one of my all time favourite places for indoor play. When I was pregnant with Eric I didn’t really know how fantastic children’s libraries were as a resource in general. 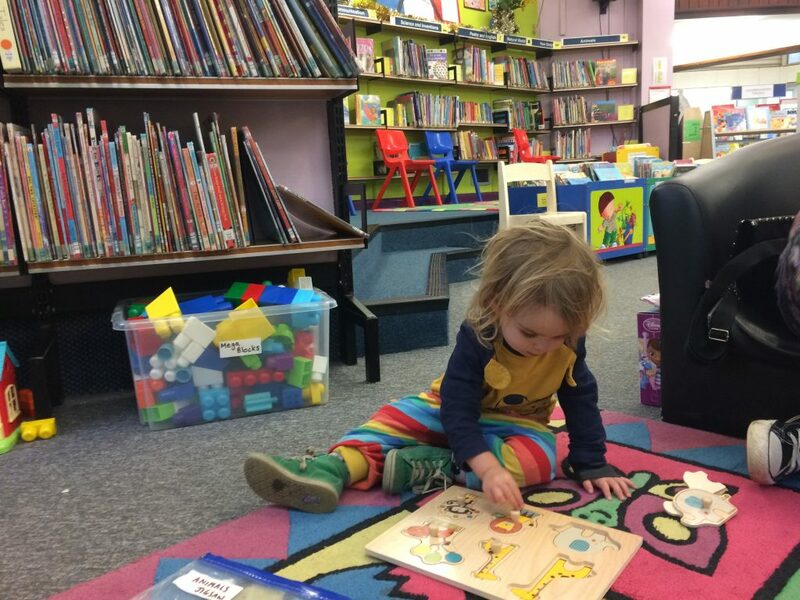 Besides the obvious book loaning, local children’s libraries often have lots of toys to play with, story book or singing time sessions and sometimes, even craft sessions (like at Totley Library). Some libraries even work together with the local community, making it a fantastic place to get involved with what’s happening in your area. The atmosphere is very laid back and because they’re free, it’s perfect to suit any family whatever your budget. Our favourite children’s libraries in Sheffield are Sheffield Central Children’s Library, Park Library and Totley Library. In my experience, definitely check out more children’s libraries other than just the one closest to you as there are some fantastic gems across Sheffield. I’m yet to visit Zest, Walkley Library and Highfields Library, for example! 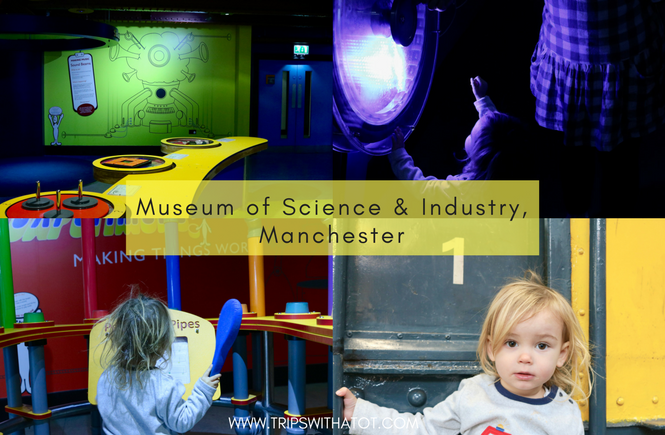 I think we are totally lucky to have such a great museum in Sheffield that’s great for kids… Weston park museum is totally free to visit and interactive. Adults and children can learn all about the history of Sheffield in the museum and there are regular special exhibitions I’d really recommend. We love it and I sometimes think it is a little under-rated. 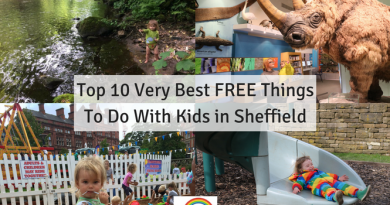 Even by myself; until Eric could toddle around and really took an interest to the museum I didn’t realise what a great resource it is for families in Sheffield! You definitely need to take advantage of it. Admission is always free, there is a cafe or upstairs free picnic room, and lots of little interactive things and play corners throughout the museum. 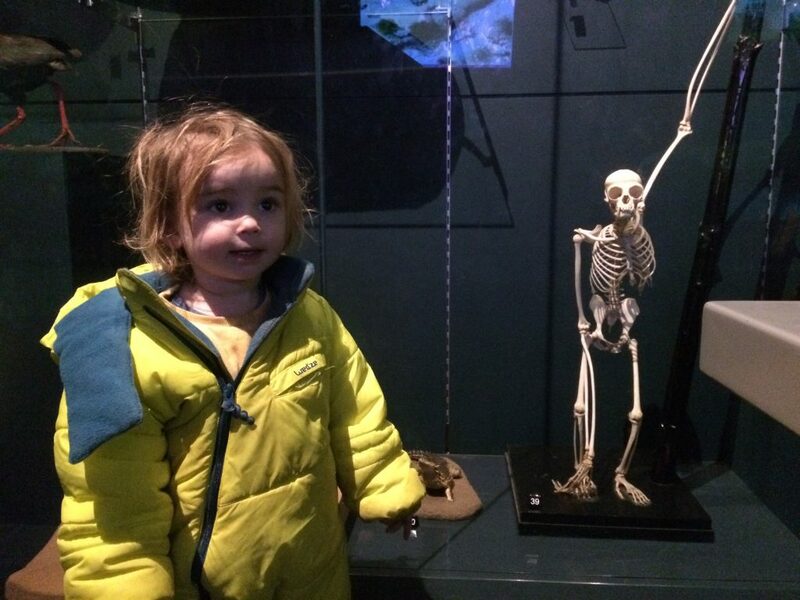 We particularly enjoy looking at the animals, skeletons and bones. The drawers with bugs and insects in are cool to open and discover, Eric loves the little play kitchen, polar bears and tunnel. On Friday’s there is a free Friday Under 5’s session with a different theme every week, it could be messy play, crafts or similar, between 10-12 every week in school holidays. Followed by a story time in the afternoon. There’s a lovely park just behind the museum, Crookes Valley Park with a playground and restaurant/pub The Damhouse. Explore Weston park, too, with lovely gardens, duck pond, little bridges and a fantastic free fayre in the summer. Is yours on this list?! Peak District: all you need to know for peaks with kids! ← Moving house series #1: How We Bought Our First Family Home!